When I entered college, I was ready for college life: school, working part-time, and the parties that go with it. But what I wasn’t prepared for was how to manage my money in college. Suddenly, your parents are no longer around to manage everything and you’re sort of thrown into the big bad world with a credit card and not much else. While it can be tempting to blow your money on clothes and booze, the reality is that the sooner you adopt sound financial practices, the better off you’ll be in the long run. You can still be young and reckless without wrecking your finances. Here are some great money tips for college students that I wish someone would have shared with me when I entered college. Don’t think of your credit card as a limitless piggy bank that you can continue to borrow money from. Eventually—one way or another—that money will need to be paid back. I don’t advise completely against getting a card, because it is a great way to establish credit history. However, pay your card in full every month. In fact, something I still do today is to pay my card daily or weekly. I’ll make purchases on my cards to rack up points, but will deduct the money from my checking as soon as I get home. This way I get the points, and I don’t find myself in a financial mess. Sometimes, I would end up receiving a check worth several hundred dollars from my college that was overage from my student loans. I wish, I wish, I wish I had been wise and put that money back toward my loans. Instead, I’m sure that those few hundred dollars cost me thousands when you include interest after it took me almost seven years after college to pay off my loans. 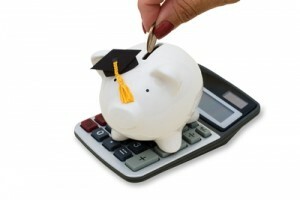 Take the smallest amount of student loans that you can manage. Prepare yourself for the real world by working through college, and working as much as you can in the summer to save up for books and extras. Spend half, save half. You most likely don’t have very many overhead costs, it is completely possible to save as much as you can from your paycheck to pay for college costs. You’ll be way ahead of the game of your peers who graduate with thousands in debt. Buy used everything. Yes, I’m talking about books and supplies, but also I’m talking about everything else. Need a car? Buy used. Need clothes? Thrift shop it. Furniture? Buy from a graduating senior. College is most likely going to be the last time in your life where you really don’t have to worry about appearances. You may not be rocking the newest car model and you may not feel as cool driving a beat up clunker, but you’ll be so ahead of the game when you’re not worrying about car payments or how this is affecting your longterm finances.